I pride myself on having relationships with my customers long after the closing. I’m going to do everything I can to change your real estate experience, just like I have for all of these customers. Let me first start out by saying, C.J. Spang was an absolute pleasure to work with. The home buying process can be very frustrating and difficult, from first finding the right property to all the contracts and paperwork, but C.J. did everything he could to make the process easy and enjoyable. We bought our property during the holiday season, which could have made it even more stressful, but C.J. was always available. As my husband and I do not live in Florida full time, we had our 20-year-old daughter doing all the research and looking at the properties. Until we found properties we liked, she was the only one in contact with C.J. He always treated her professionally and never acted like she wasn’t a real client, even though I’m sure it seemed like at times she was never going to purchase anything. We were never in a hurry to buy, so she was in contact with him for over a year before we got serious about buying a property. He never pressured us towards a property we did not love 100% percent, and was willing to work with us whenever we threw wrenches in the original plan. When we finally bought our property, C.J. had cleaned it prior to us moving in, had offered to help us move boxes, and had given us a $50 gift card to buy food with. He helped make our new property feel like a home from the moment we moved in. If we ever chose to buy another property in the area, C.J. will be the person we call. We cannot recommend him enough to those looking to purchase a property. Working with C.J. Spang on the purchase of our home was both a pleasure and a blessing. We had worked with several real estate agents in the area in search of a home and received the same treatment; sending multiple listings via internet for us to go through, not listening to our wants and needs and trying to get us to settle so many times on properties we weren’t interested in. Then we came in contact with C.J. He was friendly, professional, knowledgeable and confident he would find us our home. He immediately devised a plan and stuck with it to the end. In about a week, we found our home and couldn’t be happier. C.J. continues to go beyond the sale of our home as a consistent contact for us with questions of the area and with referrals for contractors in the area for upgrades. We continue to remain in touch with C.J. and appreciate all the work he has done and continues to do for us, way after the sale. We highly recommend C.J. Spang for your real estate needs. We have been totally impressed with C.J. from the first time we spoke, to the end of our home purchase. His customer service is so superior to other Realtors that we have dealt with. He never failed to return our calls, answered our questions about homes which we were interested in, as well as helped us get acquainted with the area. He took us from the North end of the Gulf to the South end, and in three days, we saw as many homes as we could fit in. In our past dealings with Realtors, they’ve wanted to show just the properties within their area and not beyond, but C.J. did just the opposite and listened to our wants and desires. I would recommend C.J. to anyone in need of an expert. He is one of the best. C.J. worked with us for eight months to find our first home. He was tenacious, incredibly thorough, readily available and always pleasant to work with. Most importantly, he was very patient with us. Thanks to C.J., we not only survived, but also enjoyed the typically arduous task of finding our perfect home. We moved from out of state and needed to find a home quickly. C.J. was very patient and showed us houses in various neighborhoods before we found the place we wanted to call home. The home had multiple offers, and with C.J.’s expert direction, we were able to come out on top. 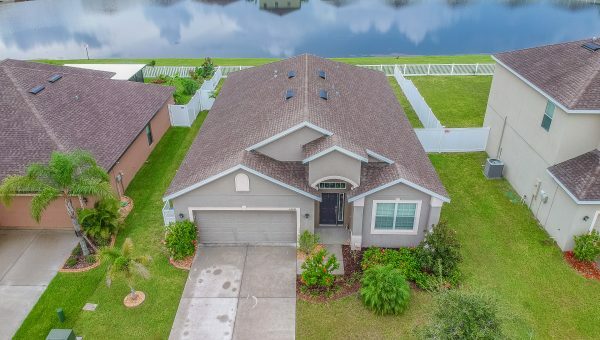 His professionalism and direct style worked well for us and we would recommend him to anyone searching for their dream home in the Tampa Bay area. Working with C.J. to find my first home was an amazing experience. He was endlessly patient as I narrowed my options and locations. As a first-time home buyer, I appreciated how thorough he was in explaining all the steps in the process right up to closing. C.J. is knowledgeable, enthusiastic, and kind, and I highly recommend him to make your home buying experience smooth and enjoyable. After much prayer and interviewing 6 different Realtors it was clear to us that God had selected C.J. to represent us as we sold our home. It’s clear now why God led us this way. 9 days and we were under contract! Wow!!! C.J. was so professional and handled all the details that can be so confusing when one starts down this path. Throughout the whole transaction he was by our side and looking out for our best interests making sure we walked through this process without a hitch. It is without hesitation that we would recommend C.J. to anyone looking to sell their home. He’s trustworthy, efficient and so knowledgeable that it removes any worry that might surface. My wife and I had a week and a half to pack up our entire house and move to Ohio after receiving a job offer as an assistant principal. My wife told me that C.J. Spang was a great person and a great professional. After meeting with C.J., I quickly realized we could trust him with all of our affairs regarding the sale of our home. Everything that we had to do, we would need to do from Ohio. C.J. handled everything for us and quickly found a buyer and set a closing date. C.J. never wasted my time, everything was handled through phone calls, text messages and e-mails. The two times I felt I needed to speak to him he answered the phone without it going to voice mail. I met C.J. for the first time four days before moving from Florida to Ohio, and every time we spoke he always made me feel that I was first on his priority list. The day of the closing, C.J. represented us in the room and called once to clarify a small detail and texted me when everything was completely done. For someone who never sold a personal home before, and after living in the same house for thirteen years, we were a little nervous. I could not imagine going through this process with anyone else, I would not hesitate to recommend C.J. for any one’s personal or professional residence. C.J. is a true professional with a way of making you feel like part of his family. This was our first home buying process so we were very nervous and didn’t know what to expect, but C.J. was truly amazing from start to finish. He walked us through each step of the process, from establishing our wish list, home visits, inspections, mortgage, insurance, etc. and never pressured us into any decisions that we weren’t comfortable with. Once we realized that a move-in ready house in our preferred neighborhoods was out of our budget, C.J. helped us see the potential of a house that needed some renovations but would still be within our budget after the work was done. He assisted us in setting up some contractors to prepare estimates for the work, and because during the closing process we did not own the home yet, he made sure he was available whenever we needed him to let the contractors in the house. Whenever a question came up during the process, and there were a bunch, he always answered our calls or responded within 30 minutes. We never felt alone or lost because C.J. was so responsive. Even though we had a modest budget, he treated us the same as if we were buying a multi-million dollar home. We would absolutely recommend C.J. to anyone!! C.J. provided very good advice throughout the marketing, selling and closing processes. My home was under contract in under 30 days! Thanks C.J.! Buying or selling your home can be a stressful process. We’re here to help. Contact us today to schedule your free real estate consultation.